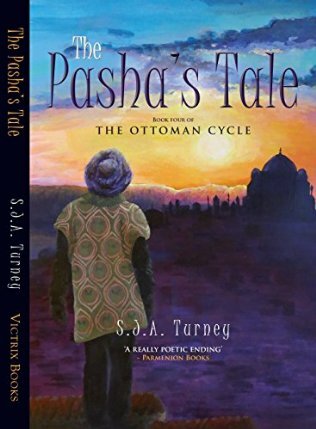 The Pasha’s Tale by SJA Turney. Once again I find myself in awe of Mr. Turney. He can flat out write, whether it be Roman fiction, the Yorkshire phone book, or in this case the final installment of The Ottoman Cycle. It has been five years since Skiouros has been home to Constantinople/Istanbul but his homecoming is hardly peaceful as he finds himself embroiled in a complicated plan to thwart a coup against Beyazid. The story is full of intrigue involving the centuries old antagonism between Islam, Christianity and Judaism and the author does a commendable job in balancing the good and the bad of all three. 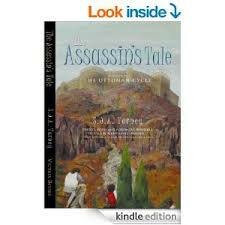 Full of action, and replete with fascinating plot twists plus the trademark descriptive acumen of the author, the tale takes the reader all over the ancient Turkish city; a city of the Greek, Turk, Jew and Romani peoples. Each locale is delivered in stunning portrayals giving the reader a wonderful chance to visualize what Skiouros and friends are up against. I think what I enjoyed most in this piece in this series of tales is the way the author brings it to a conclusion…a very satisfying ending indeed. 5 stars.